Tracking. 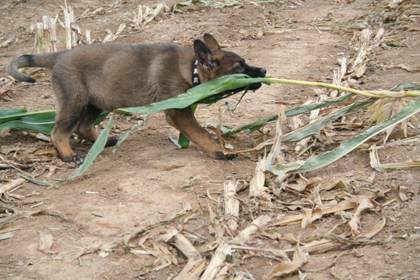 The most important factors 1 commitment 2 hunting instinct 3 food drives 4 motivation 5 obedience 6 discipline and great communication between you and your dog, time and consistency will be the key to success. Your dog can't not respond positive motivated and discipline behavior if there is no connection bonding and jest the right energy communicatingwith your dog is the most important factor a training section has no value if there is no one on one bonding time together I recommend one hr minimum 3 times a week jest you and your dog , you can walk or play then you can trained hard and received positive result keep your dog in drive. 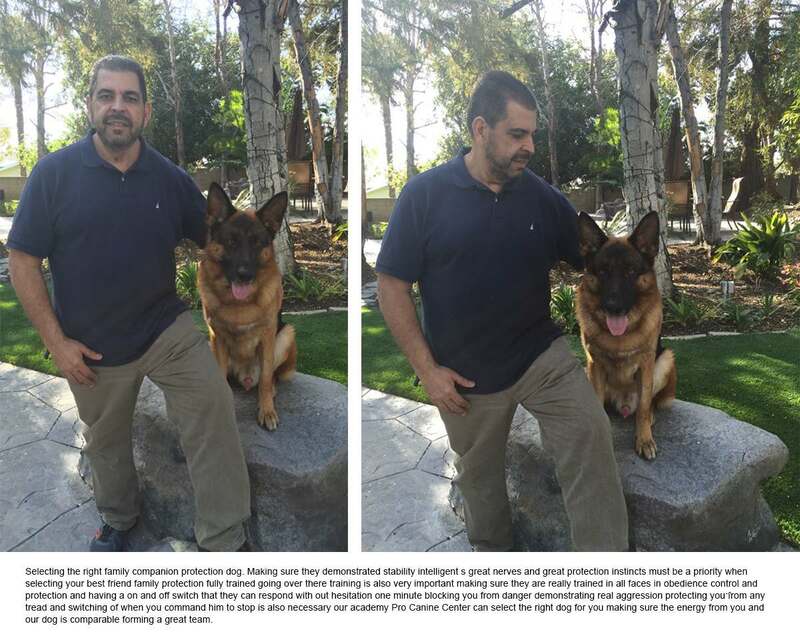 ProCanine Center has developed a great maintenance training program that can give you peace of mind by making certain your dog’s training in obedience and protection stays at the correct and intended high level. 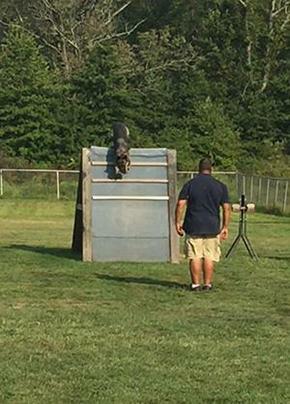 In this program, we evaluate your current performance and determine what areas of improvement may be needed for both you and your dog. 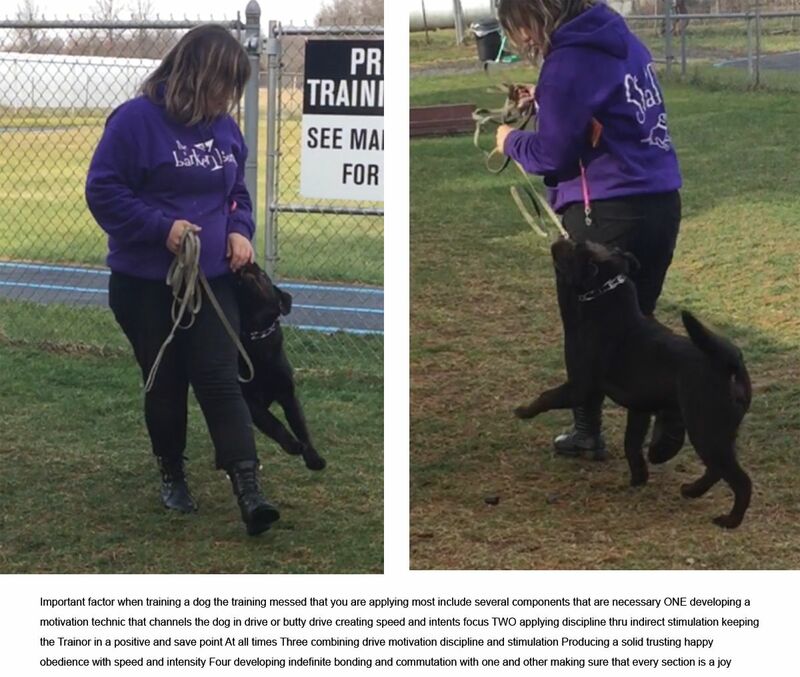 We understand busy lives often mean you didn’t get to practice or train with your dog as intended or needed. 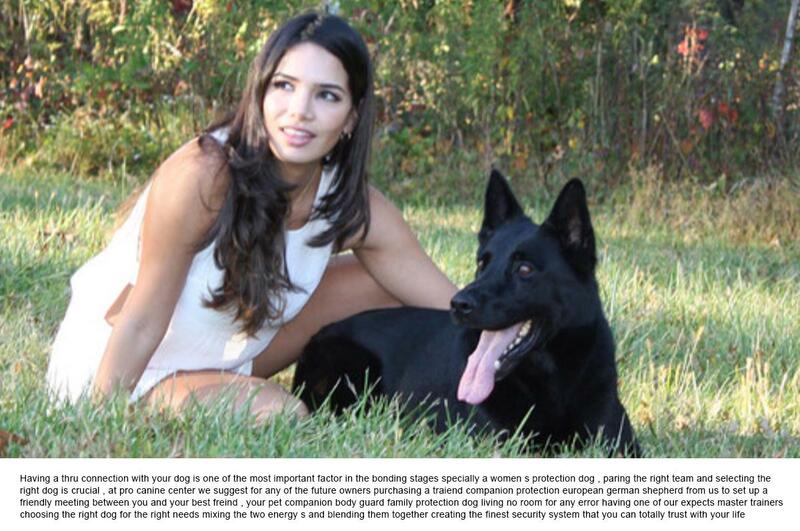 Also, this is the perfect time to add to additional training (ie, advance obedience or protection skills). If you either purchased one of our dogs or had your dog train by us, we recommend coming in for a free evaluation and hear our recommendations for making the most out of your trained companion dog and best friend. Unfortunately, there is no such thing as the perfect dog. In fact, if it were up to humans, the dog we share our life with would never make mistakes and would always fulfill our expectations. We can, though, come close to finding a dog that meets most of our realistic needs. There is little question dogs are one of the most intelligent animals in the world with the capability of demonstrating true loyalty and desire to please his owner and family. We often take for granted all the adjustments an animal has to make in order to accommodate living with humans: our living habits, indoor housing with our belongings, family members and friends, various activities throughout the year, and travel away from their home to strange surroundings but with same behavior expectations. We can help our house companion dog by providing a solid foundation of house manners and obedience with the assistance of a professional trainer. 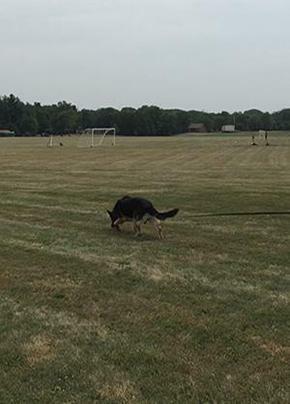 With proper learning, motivation, and discipline, we can find happiness on both sides of the leash. 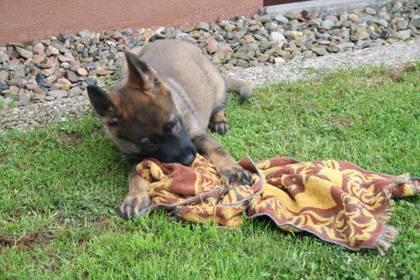 When we are looking at a great german shepherd puppy one of the most important factor is temperament here you can observe a well balance working type strong drives stability intelligent and courage produce by great generics. 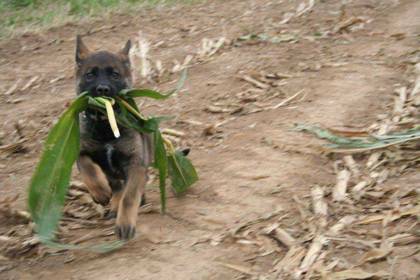 At 12 weeks and 7 months of age, puppies go through critical stages in development. During this “fear period” you may observe differing levels of what looks like fear or insecurity (ie, loud noises, new places and experiences). If you are not familiar with this temporary behavior, you might think the puppy is unstable or not sound in its nerves. 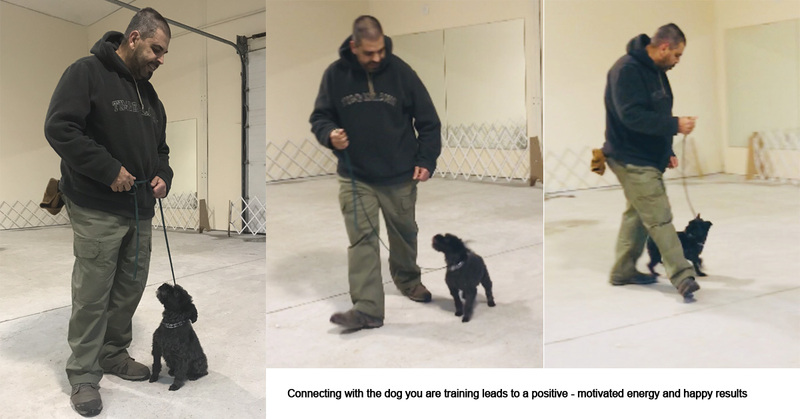 Realizing this stage is normal, with a little help, the puppy can come through via “neutralization” activities in order to gain full confidence and potential. If neutralization does not happen, the puppy may get stuck in an unsure or unclear state of mind (with the potential for a multitude of future behavior problems). Next, we will discuss neutralization and how to apply it. Germany is considered the “mother country” of European working-breed dogs. For many years they have set the world standard with exacting detail on structure, working ability, and training dogs. 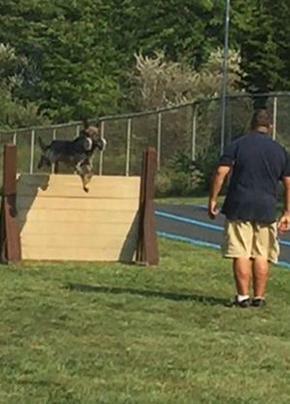 No matter if you desire a dog for family companion and protection, service, working (police, search and rescue), or competition, you should seek a properly sound and balanced dog. 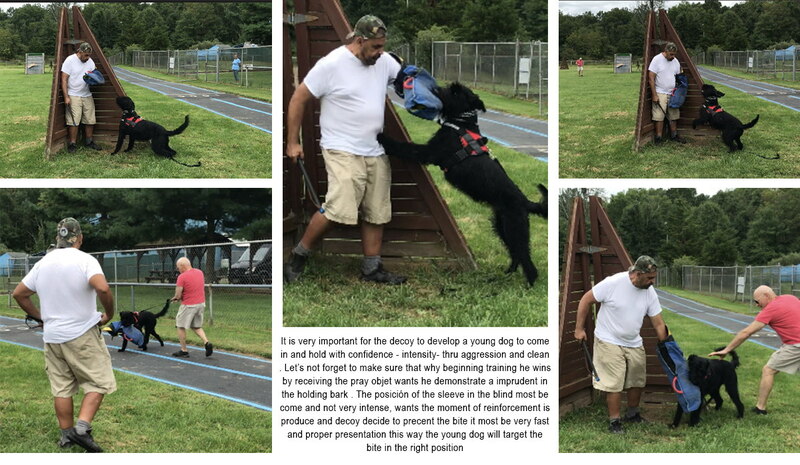 A properly sound and balanced dog should demonstrate correct physical structure, mental stability, intelligence, great nerves, desired working drives, and loyalty. 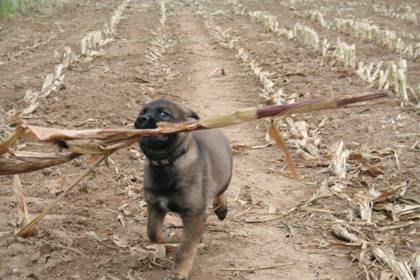 Finding a dog from a successful breeding program based on the finest bloodlines, knowledge, and dedication and love for overall advancing the breed may not be an easy task. There are many “backyard” breeders and people producing inferior dogs. 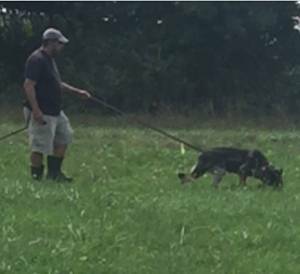 When looking for a dog to purchase, you must do your homework and assure the sire/dame have three generations of documented clear elbows/hips/spine, proper working titles, and breed certification (ie, documentation of suitability/excellence for breeding). An ethical breeder wants nothing more than to send you home with an excellent dog with all the potential to fulfill your needs that will give you a lifetime of health and happiness. 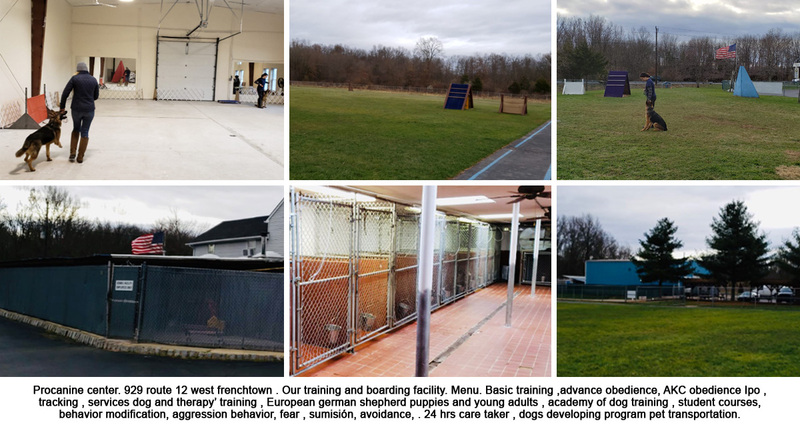 ProCanine Center has +25 years experience breeding and training European German Shepherds and Laborador Retrievers, with kennel facilities in Germany and Frenchtown, NJ. 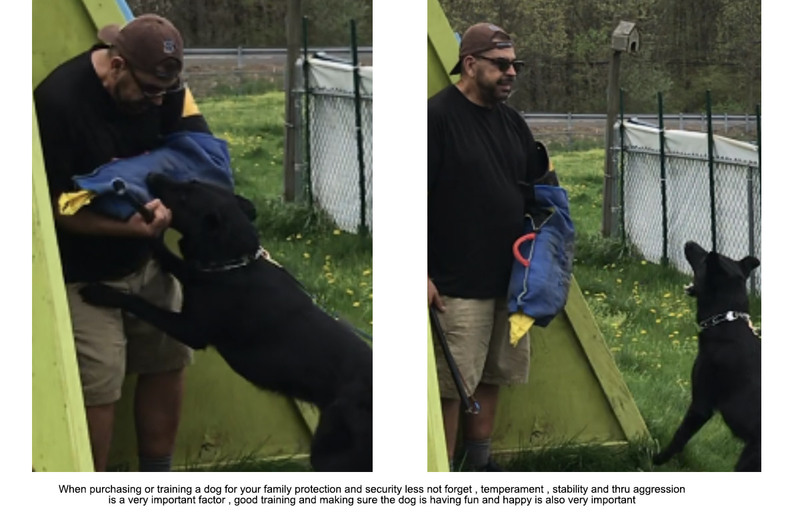 A protection dog evaluation is grounded in a thorough safety assessment and taking time to listen to all of your needs and expectations. 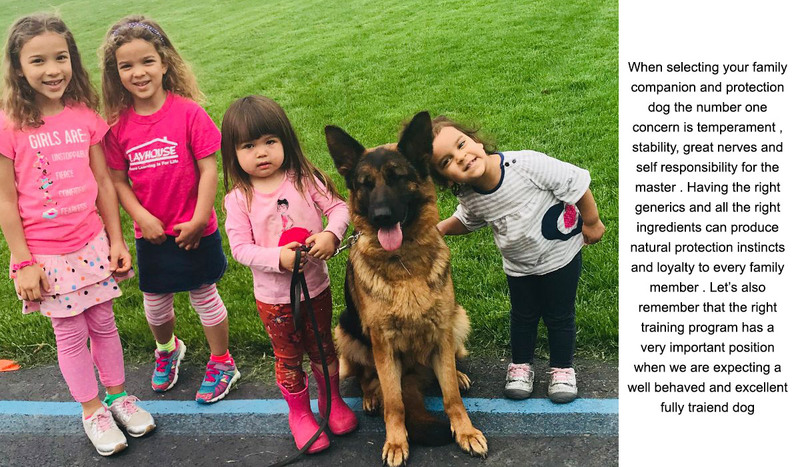 Our recommendation for level of training required and matching one of our highly specialized dogs is based on ProCanine Center’s +25 years of experience working with families such as yours. 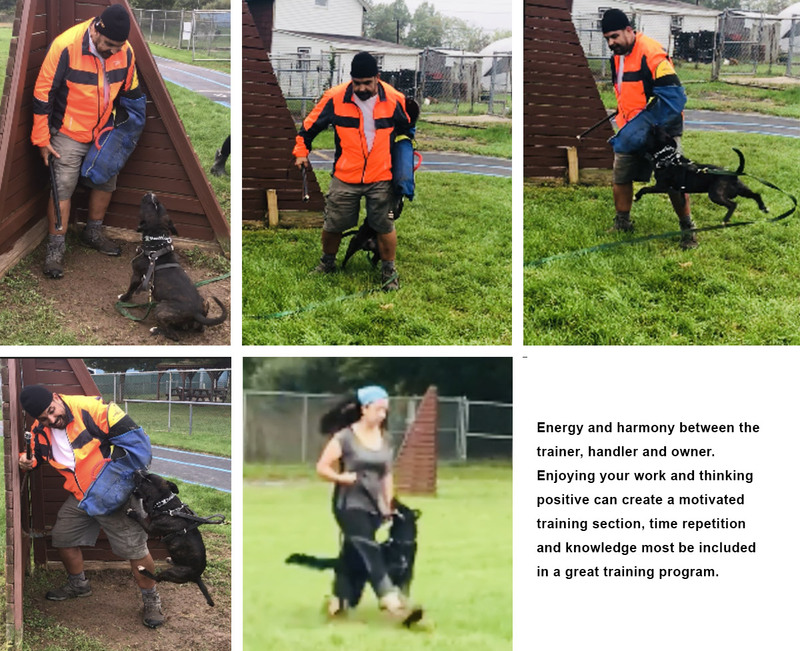 Unlike other protection dog providers, there is no limit to the number of lessons you receive at our training academy in order for you to achieve perfect control and knowledge of your dog. Training maintenance programs are also available in order to keep your skills in top shape over time. We see no room for error: your security and happiness is our #1 concern. Bringing up the perfect pet companion dog begins with what happens in the whelping box. By the time the puppies are approximately 3-4 weeks old, they are very active and start biting and scratching the mother. Because care is mostly unsupervised and left to the mother, puppies may receive severe corrections for their rambunctious and mischievous behavior. This may result in significant loss of puppy temperament, self-confidence, and feelings of security which in turn can seriously impact the rest of the dog’s life. 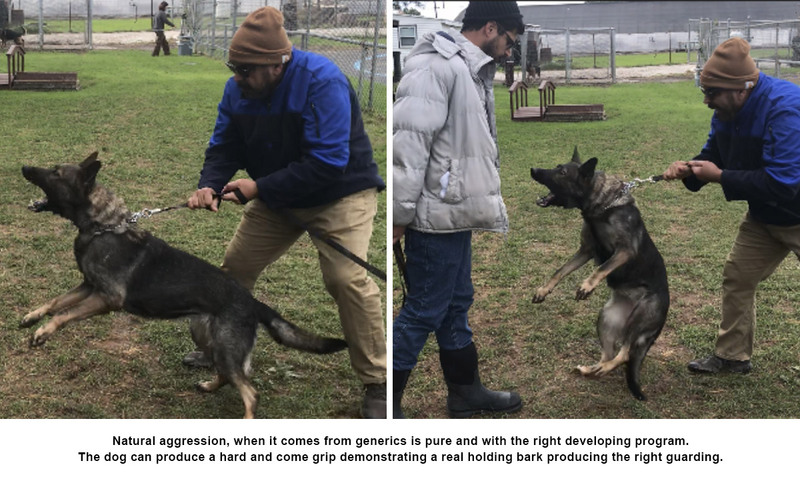 Careful supervision of mother-puppy interactions (which not all breeders are willing or knowledgable enough to do) and early and active human upbringing avoids potential puppy damage and sets the stage for positive dog-human relationships. If this is done correctly, the puppy will see the human caretaker as the second mother which will ease separation from the mother and litter mates at a later date. The goal is to raise a puppy with qualities of confidence, stability, security, and a clear mind. At 8-10 weeks of age, a puppy with proper upbringing and humanizing is able to successfully go on to their new family with their potential intact.